Memorials are preferred to flowers. Please make checks payable to Robert or Debra Arnold. You can mail your memorial directly to the family or mail it to them in care of the Funeral Home at the above address. Please scroll down to for online link to directions to the Funeral Home and memorial information. 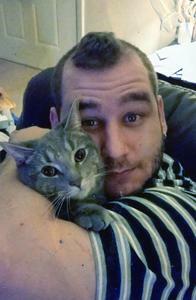 Passed away unexpectedly Nov. 1, 2017, age 29, years. Beloved son of Robert and Debra (nee Kampa). Loving brother of Allison (Jonathan) Dunne and Kelly Arnold. Proud uncle of Kieran J. Dunne. Dear great-nephew of Fern K. Biernat. Further survived by other relatives and many friends. Visitation at the Suminski / Weiss Funeral Home1901 N. Farwell Ave. Milwaukee, WI 53202 on Wednesday, November 8, 2017 from 1:00 PM until the time of the Funeral Service at 2:00 PM. Private interment. In lieu of flowers, memorials to the family are appreciated.